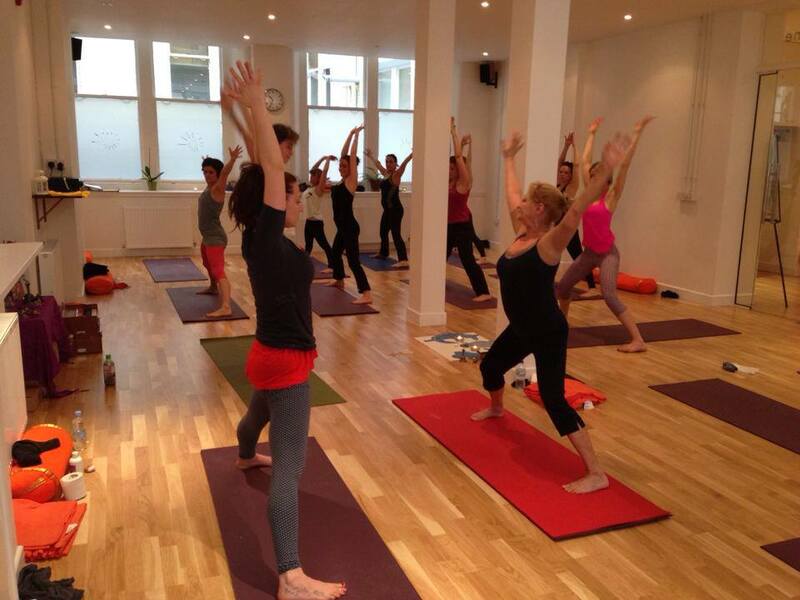 “I had previously attended Alessandra’s classes in the Light Centre Moorgate and was recommended her Aditya Yoga School by another fellow yogi. At the time, although I’d practiced yoga for years, I was a yoga novice – and I only realised that having attended Aditya 200 hours YTT – but I wanted to improve and thought that the course was right for me. Alessandra’s amazing energy and positive passion for yoga and humanity is so captivating. I wanted the right individual to safely guide me on this journey as I suffered from migraines and back pain. I remember quite well the goals that I’d set up for myself: getting rid of my pain and enjoying this journey. During the training I’ve learnt how to use my own breath and body to increase mobility and lessen the pain. Alessandra has helped me achieve this to which I’m eternally grateful. She’s believed in me and she inspired me to do more. I utterly enjoyed every class and conversation, the whole spectrum of techniques and sequences and her passionate knowledge of this great science. 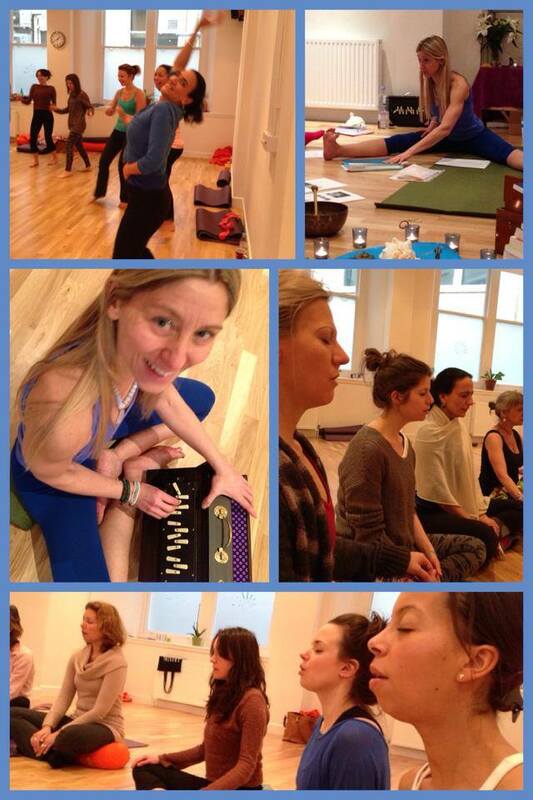 I would strongly recommend Aditya Yoga School for your 200 YTT course and Alessandra as your teacher. It’s not an easy journey and expect lots of reading and studying. But if you want something than you can achieve it. I managed to do it with a full time job and three young children. The course allows time for studies and is long enough to give time to absorb all the information. I certainly wouldn’t have wanted a short intense course, especially as this is a vast subject and there’s so much more to learn! I continue to attend Alessandra’s classes. She infuses her energy, knowledge and passion in every lesson, every class. She’s extremely inspiring. “I can’t recommend the 200TT course highly enough! 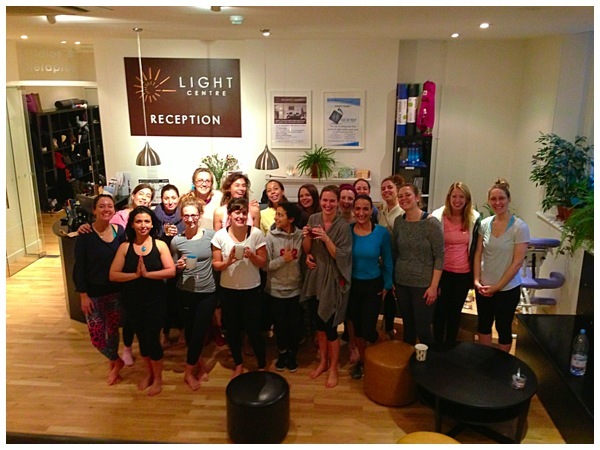 I had attended Alessandra’s classes at the Light Centre in Islington and was mesmerised by her captivating energy, so I booked the course on a bit of a whim and didn’t really know what to expect. I was totally blown away, any expectations I had were exceeded. I instantly felt like it was a safe, fun, supportive environment to learn in with like-minded people. Alessandra took us on an incredible journey, sharing her knowledge and teachings of this incredible science and ancient philosophy. There’s so much information on the subject matter that it can be a bit overwhelming at times, but the course was broken down into chunks that make sense to digest it in, logical layers to build upon as we moved forwards. I started the course wanting to deepen my practise and ended the course transformed (but always transforming), with a growing yearning to keep learning and confidence to teach and above all, a group of wonderful friends. makes our modern understanding of yoga limited. “The 200h YTT with Alessandra is undoubtedly an intense experience on many levels. It spans a wide range of topics from a playful, creative asana practice to the spiritual aspects enshrined in seminal yoga texts such as the sutras and the Upanishad, from meditation and mudra techniques, to adjustments. It requires a commitment of focus and dedication, but is rewarding beyond the investment. All the materials provided are filtered through the lense of Alessandra’s deep and broad first hand experience of yoga, and enriched with the wealth of her thirty years of knowledge of the subject. Alessandra is more than a very knowledgeable teacher. She infuses all her teachings with passion, light and light-heartedness. She also knows how to coach each student to fulfil their potential. The journey on the 200h YTT with Alessandra has undoubtedly shifted my understanding and love of yoga to new heights. Her teaching and presence catalysed some deep shifts in my life (including leaving my city job)! I wholeheartedly recommend her teacher training to all lovers of vinyasa yoga. “When you are inspired by some great purpose, some extraordinary project, all your thoughts break their bonds. Your mind transcends limitation, your consciousness expands in every direction and you find yourself in a new, great and wonderful world. Dormant forces, faculties and talents become alive and you discover yourself to be a greater person by far than you ever dreamed yourself to be.” This quote by Patanjali author of The Yoga Sutras, wholly summarises my experience as a student on Aditya Yoga TT 2016. The course provides a wide depth of material which piqued my interest at every corner. And just when I thought I had ‘covered’ a topic, I knew that there was much more to experience than all that I had read. The course is comprehensive and well structured with each module building on the previous, which gently guided me to the next levels of understanding. The hands on teaching itself left me inspired. It comes without doubt that Alessandra has a wealth of knowledge and experience to share. Her disciplined manner and guidance led me to experience vinyasa flow along with its asanas, at a different level threefold – physically, mentally and spiritually. Being easily approachable I felt I could ask Alessandra any questions around areas and experiences I needed help with. Saying that, Alessandra reminded me of the importance of empowering myself along this journey. – Finding my own way in discovering myself to be a greater person by far than I ever dreamed myself to be. “The Aditya 200 hour teacher training course will give you not only the qualification to teach Yoga, but also the confidence within yourself that your understanding is based on a solid foundation of technique and knowledge. Alessandra’s enthusiasm for Yoga is boundless and her dedication to you will go way beyond any expectation you may have. It is fundamentally her life’s work to pass on the knowledge that she has been given over the years. With Alessandra you are not “buying” a qualification. No doubt, this course is full-on and very rewarding work. You will be earning the right to say to potential students (and to yourself) that you have a rounded understanding to teach Yoga in a safe, positive and inspiring manner. With monthly progress reviews Alessandra ensures that everyone understands the teachings presented through the weekend modules and she is on hand and very willing to help outside of the course hours to ensure everyone progresses together. She will give you back as much as you are able to give yourself. The pace of the course is great for anyone working full time. It leaves enough space for practice, digestion of knowledge and home reading, but not too much time between modules that you lose the daily flow of being part of the course and the group. Alessandra will guide you through and be on hand throughout her beautifully planned course. If you are considering taking a condensed short course to get the qualification quickly I would advise you consider taking a longer period over the course. I couldn’t think it possible to ingest 20% of the knowledge that has been passed to me in a condensed course. Within the solid framework of the curriculum, i felt i had the freedom to develop my own style of teaching. I was encouraged to interpret and use what i had learned in the way i wanted to use it, and without the expectation to fit into a mold of teaching style. Most importantly, i left the course feeling confident i could lead and advise my students with a sound all round knowledge of the highest level. “I’m so so happy I made the decision to start my yoga teacher training journey last year, I had been considering it for a while but nerves/confidence always held me back. After meeting you, Alessandra I knew it was the right time and the right course for me and I haven’t looked back. It’s been absolutely a wonderful journey. I’ve met so many amazing people and made wonderful friends who helped and encouraged me along the way. I’ve learnt so much and look forward to continuing my studies to help me develop and grow as a teachers and as a student of yoga. I must say I miss the group and miss our weekends together, we started to feel like a little family and it was so lovely being surrounded by people who share your passions and to be able to share thoughts and ideas. I loved all aspects of the course, and found the anatomy so interesting as it’s an area I really didn’t have to much knowledge on, I also loved the philosophy discussions and the reading assignments, as there is so much to take in and learn. Before you embark on training with Alessandra consider that time has to be dedicated to study/ reading and assignments/ self development; this however never felt too much and I really enjoyed everything we covered. This was everything I had expected and was definitely prepared to take as much from the experience as possible. The course has also helped me learn a lot about myself and over the year I can see the positive effects the course was, and still is, bringing to my life in all ways. I’ve loved the experience from a personal perspective and I know it is something truly special. 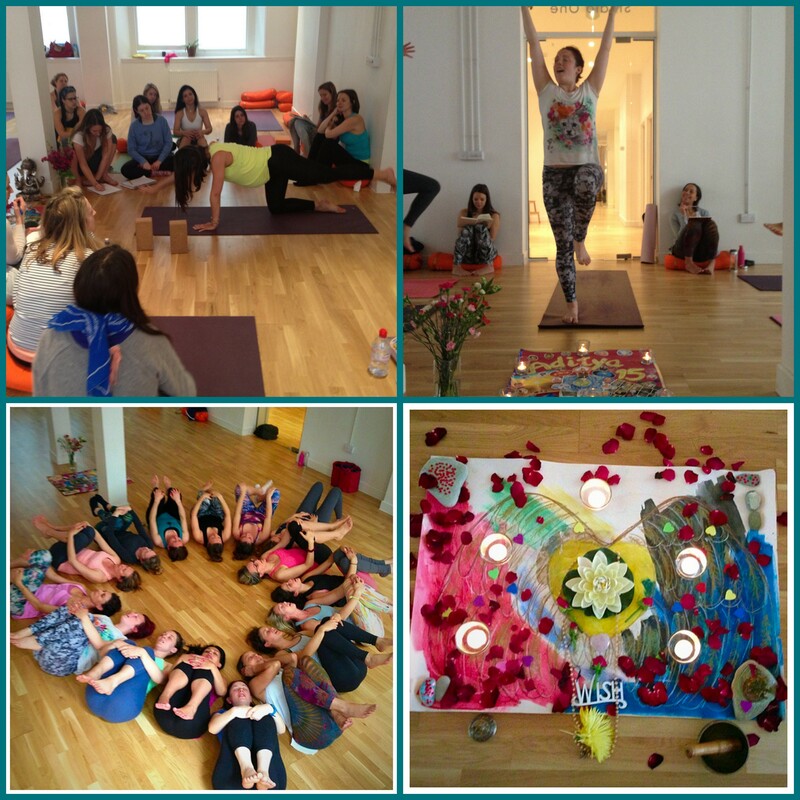 “This teacher training is so much more than you are looking for. Come with an open mind and prepare to face your fears, come head to head with your personal barriers and explode through them should you choose. Yes you will learn to sequence asana, call the breath and structure a safe and functional yoga class, but this is merely the tip of the teacher’s iceberg. Dip in the ancient science of Ayurveda, allow your voice to resonate to the frequencies of sacred scripture, delve into the science of sound and energy, and generally begin to vibrate at a higher level. 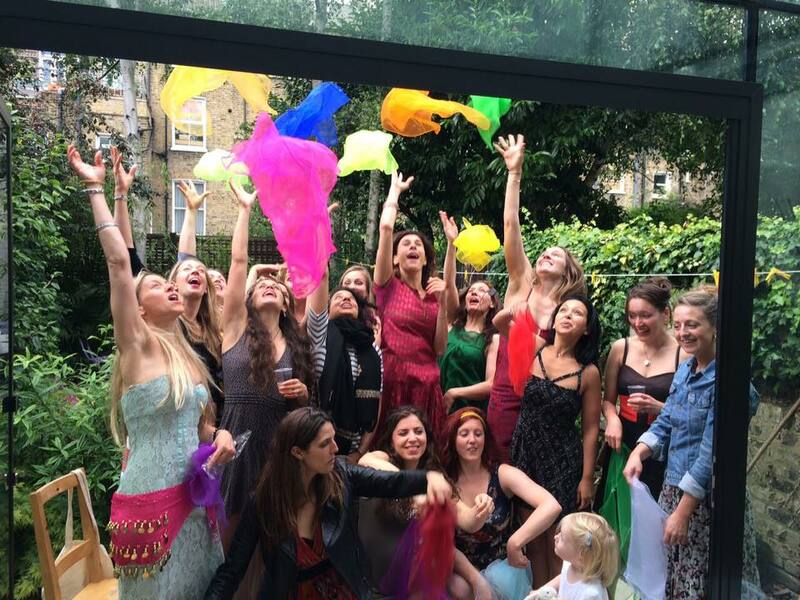 “Having recently completed my 200hrs training with Alessandra, I reflect on this experience and can’t imagine having done this with anyone else… her uniquely creative, challenging and almost magical way of teaching paved the way for a life changing journey that I could never have anticipated going into the course and that I am now so incredibly thankful for. The course is constructed in a way that beautifully balances the tradition and roots of Yoga with a contemporary relevance and application of the practice that really resonated with me. Whilst the course is obviously a challenging undertaking, her style of teaching facilitates a depth of understanding across yogic discipline, that feels easily accessible and not only arms you with brilliant tools for teaching but also deepens your personal practice and spiritual evolution. 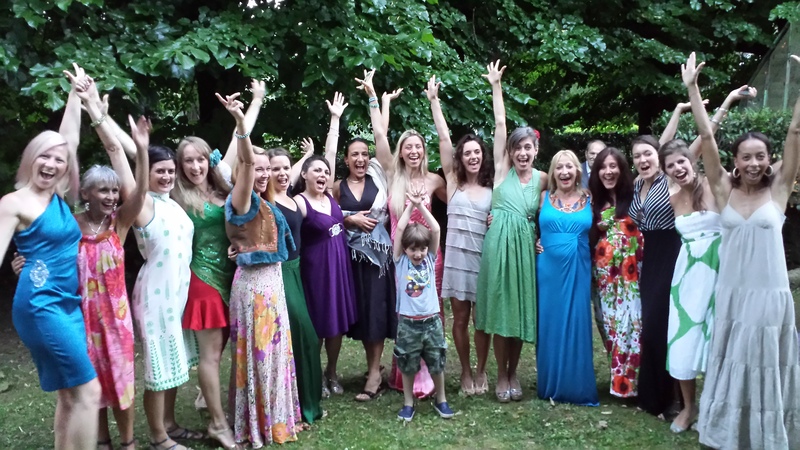 Alessandra’s energy is a magnet for the coming together of some incredible like minded souls, a community of yoginis that I now value as much as the new skill’s I’ve learnt. 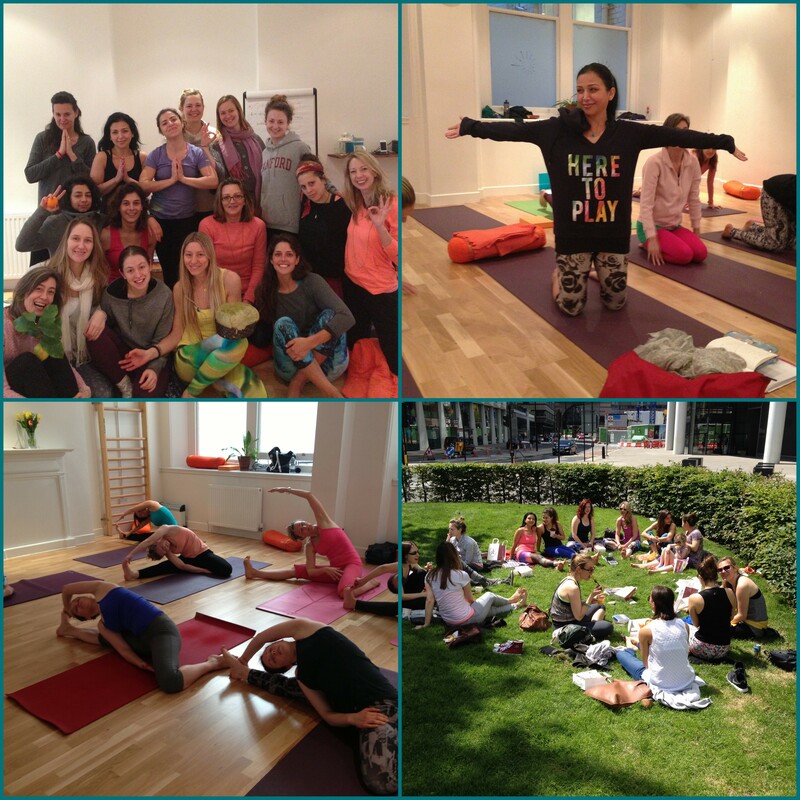 “I thoroughly enjoyed studying with Alessandra for my 200 hours teacher training. For me, there could have been no other teacher I would rather have studied with for my foundation course than Alessandra. The 10 months with Alessandra will leave you breathless, emotional, happy, alive and changed. If that’s not your thing – then do the course anyways because Alessandra’s teaching offers a truly integrated way of approaching and addressing yoga. Aditya Yoga School offers a great in-depth curriculum. The curriculum covers yoga (the physical practice) philosophy, history and practical knowledge as well as how the physical practices integrates with a variety of touch points which are all relevant to yoga including the chakra system and how this can be worked with/sequenced into a practice, the different energy movements within the body and Ayurveda. Alessandra’s easy-going, sweet, caring and affectionate attitude is compelling because it gives you space to take in, digest and study everything properly. Not only will you be learning a lot about yourself on this 10 months journey but you most certainly won’t be the same as when you started. 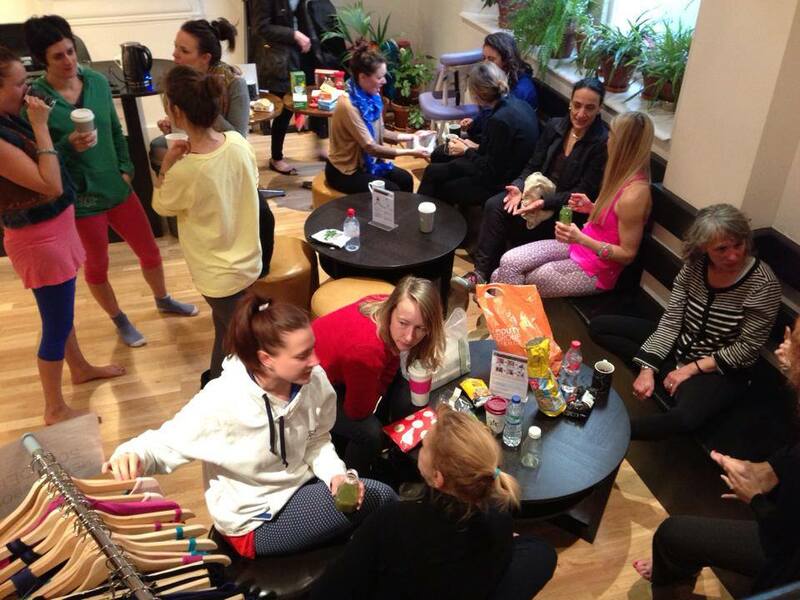 If you are looking to do a teacher training course to enrich your own home practice, then this is a great course because it will teach you about sequencing, and if you are looking to become a yoga teacher, then the practical teaching aspect of it (practicing teaching with each other during each module) is a great way to learn how to teach and instruct a class. ” This course has been life changing, and I could not have been in safer hands for a transformation of this kind. I enroled on the course wanting to find a better work/life balance and whilst experiening some very strong emotional shifts in the first two modules I was resistant to make any changes in my life. I learnt that the struggles I have, are struggles that have been shared by other humans for thousands and thousands of years and that knowledge was very comforting. Each module had such a strong purpose and direction. What stayed with me most was the ‘flavour’ that Alessandra gave us at each practice. The elements of Earth, Water, Fire, Air & Ether permeated my life and it became so obvious why I had the struggles I did. I would love to do the course all over again, and incredibly Alessandra offers students that opportunity but in the role of a ‘mentor’ for the proceeding year (for the right people). I have been a teacher of dance, pilates and fitness for 17 years and this course has helped me to separate out that which is my life and my love (family, friends, home, dancing) and that which is my work. Before the two sides were so confused that I was constantly exhausted and unhappy. This course is firmly rooted in vast, timeless yoga tradition, and the yoga philosophy has become a pillar of strength and support in my life. There is real reverance to the teachers of the past and a strong sense of lineage, each step of the way we all felt we were part of something greater than ourselves, and it was a privilege to share in the knowledge and experience being given to us. I have made friends for life on this course, I have transformed from a person that was in a cycle of working myself into the ground (quite literally) to a work from home mum, now expecting another baby. This is something that I have wanted for years but never knew what steps to take to get here. “Anybody thinking of joining or enrolling on a TT, this is the place to be!!! The care to detail and commitment is just out of this world. It is all the extras that make this TT so special. I just love Alessandra bringing Chakras and Ayurveda into it as well. That was just the best bonus! The Course is practical and could be used for the rest of our lives and will not only improve our lives,but those of our students as well. Will always be grateful to Alessandra and Aditya Yoga School and I will for sure do many workshops and hopefully the 500 hrs with Aditya as well. “Alessandra is a great and very supportive teacher . She focuses on the needs of each individual student and and helps them develop their physical abilities and bring to the surface their character, aiding them to become confident teachers. She has an in depth knowledge of yoga and Ayurveda and teaches them in an engaging way. She conveys information so you absorb it without even realising it. I highly recommend the Aditya yoga school and Alessandra, so if you are looking for a Teacher Training, then you’re in the right place.